As someone often accused of being obsessed with species hunting, I was intrigued to see this new fish identification book (Identification Guide to the Inshore Fish of the British Isles) written by Dr Peter Henderson, a director of Pisces Conservation Ltd, also a Senior Research Associate of the Department of Zoology at Oxford University. The work has also been contributed to by numerous other ecologist and bio archeologists within the Pisces team, so a wealth of knowledge has gone in to its compilation. This is a major reference work for the modern day and will appeal to anglers, naturalists and professional fish biologists alike, as well as anyone with a general interest in our inshore marine world. My previous bibles have been Alwyne Wheeler’s superb books on fish ID, as well as many others, but this new work sits well alongside those fish ID icons, and will undoubtedly become a major classic in its own right. The book has 320 pages with 32 individual chapters covering the different families, and each and every one of Britain’s resident common species of fish is listed. There is an excellent pictorial key to the different fish types, a glossary of definitive fish and biological terms, plus an index of common names, also a separate index detailing the Latin names. 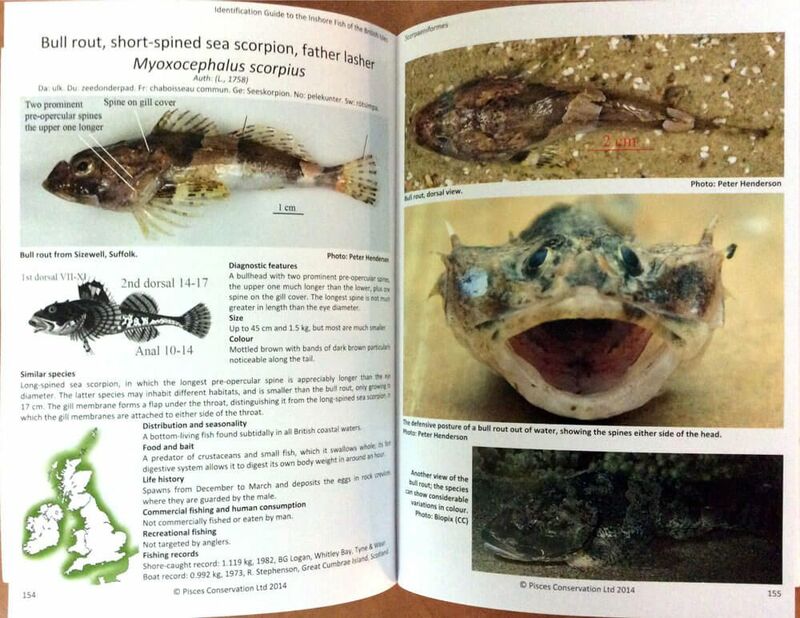 Each fish has its own page with information in sections, including diagnostic features, size, otolith characteristics, colour, similar species, distribution and seasonality, food and bait, also life history, and where relevant the current record fish taken on rod and line. What makes this book special is the quality of the photographs used of the relevant species, many of these angling related, but also the detailed line drawings that enable the reader to better identify difficult species such as gobies, the various sandeels, rare flatfish such as the three top knots resident in UK waters, and much more. Of particular note is that specific critical distinguishing features are highlighted making it much easier to separate lookalike species. Although a professional reference work, it is so written that it is easy to understand, even if you are new to targeting species, or simply want a more detailed ID book for the more difficult species you may need to identify. This is a quality work and an essential addition to any keen anglers library! The book is available online from www.britishseafish.com and is priced at £25. 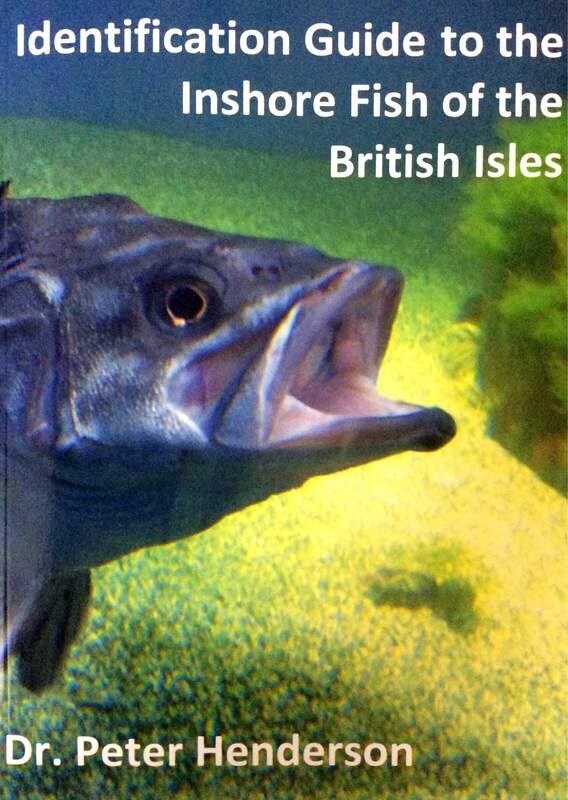 The Identification Guide To The Inshore Fish Of The British Isles is published by Pisces Conservation Ltd, IRC House, The Square, Pennington, Hampshire, SO41 8GN. As a postscript, Pisces Conservation also runs courses on fish identification for both groups and individuals. If you are interested, please contact them via the above contact details for further information. Wayne Thomas uses the recent bad weather window to sit down by the fireside with a glass of malt and reviews Mike Thrussell's new book, Addicted to Angling. Mike Thrussell looks at a new book launched, Successful Shore Angling, written by Phil Arnott - a book which is likely to become a classic.